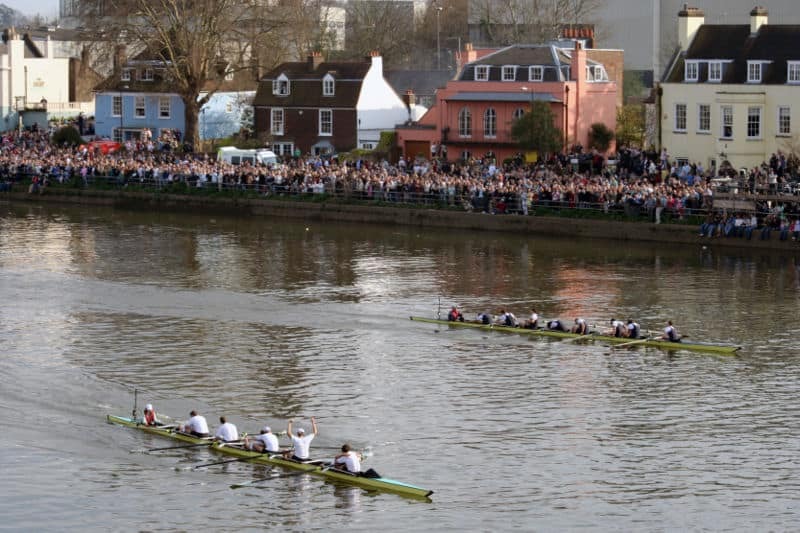 Would you love to watch a boat race between 2 of the UK’s most prestigious universities, Oxford and Cambridge? A race which has been taking place since 1829 for men and 1927 for women and attracts up to 250,000 spectators! Then the 2019 Boat Race on Sunday 7th April is where you need to be! The women’s race starts at 2:15pm and is then follow by the men’s race at 3:15pm. The course runs along the River Thames for four-and-a-quarter miles starting at Putney Bridge and finishes at Mortlake. As of 2018, Cambridge has won the men’s race 83 times and Oxford 80 times, with one dead heat. Cambridge has led Oxford in cumulative wins since 1930. In the women’s race, Cambridge have won the race 43 times and Oxford 30 times. Cambridge holds the course record of 16 minutes 19 seconds, set in 1998. The main London Underground stations which spectators use are Putney Bridge, Hammersmith and Kew Gardens, or use Putney, Barnes Bridge, Mortlake or Chiswick rail stations. For students living in our Fulham residence this is perfectly located.